We offer a 24 hour emergency call out service for immediate action on any tree problem following storm damage and high winds. If there is a risk to property or people, or access has been compromised give us a call. 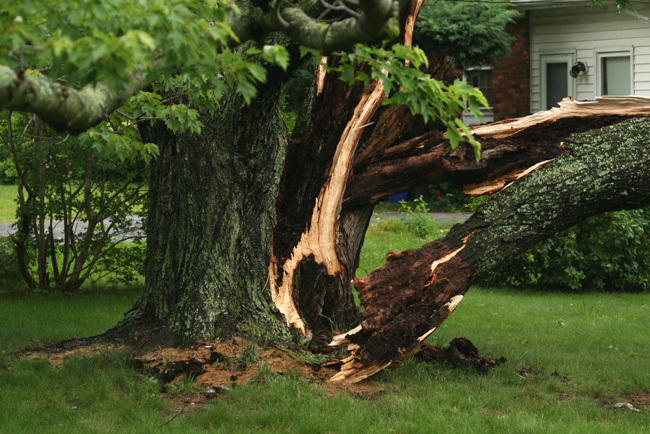 We are always on hand to provide expert emergency tree services. Extreme weather conditions are becoming common place in the UK - thunder storms, high winds and heavy snowfall can cause tree branches to break off and is responsible for causing trees to topple over, often causing extensive damage. For this reason, dying trees that cannot be saved or dead trees in close proximity to residential properties should be removed before severe weather can knock them down. Every year, a significant number of trees fall on houses, cars, buildings, structures, power lines, etc. Our tree surgeons and professional arborists have the experience, equipment and materials to deal with any type of tree emergency. 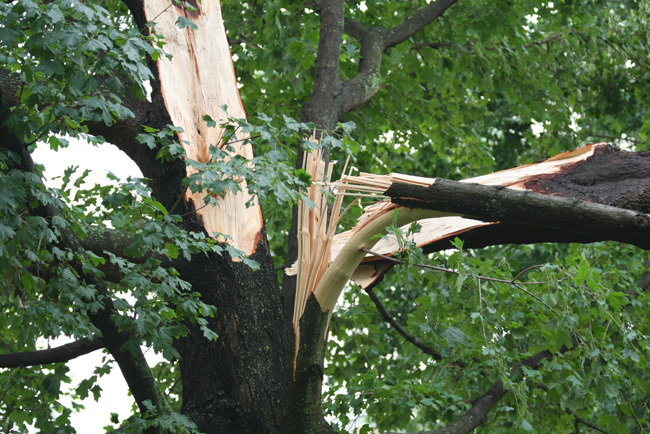 We specialise in helping you with any type of tree emergency. We are available 24 hours per day, 7 days a week to help you with emergency tree removal - call us on 07580 486 904 for immediate help. Typically, we can have someone with you within 1-2 hours to assess the situation and call in the neccessary equipment and personnel. 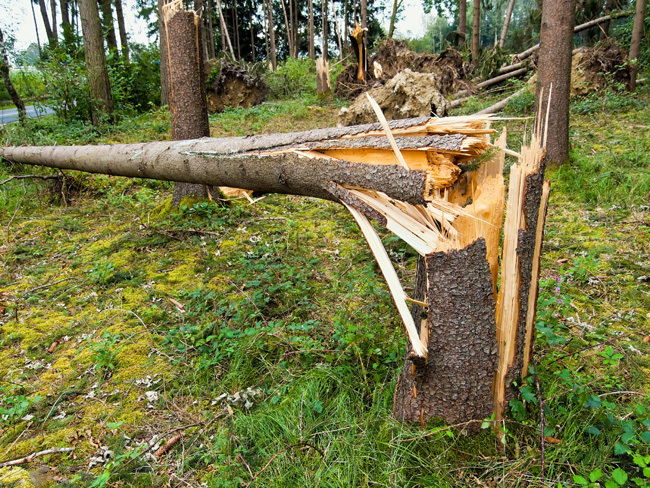 We will remove the fallen trees and branches without causing further damage to your property. To perform an operation as large and complicated as emergency tree work, the appropriate machinery is critical. We have the manpower and necessary equipment to handle any and every job. Our cranes give us the ability to work around very confined and difficult spaces such as a house. The crane service and 7 expert crews enable any job to be completed in a timely and efficient manner. We have been offering Tree Emergency Call Outs for over 10 years and have a well derserved reputation throughout London. We are reccomended to home owners by many insurance companiies.